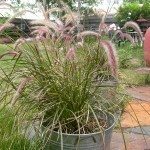 I planted multiple sections of red fountain grass in the correct amount of sun and location around the house. All of them ended the season just as they should. As of now, mid April, all of them are still brown and have no sign of coming back. Are they really late bloomers? Or is is possible to kill all 5 of them at the same time? I believe you are referring to Purple Fountain Grass. What zone is your garden in? 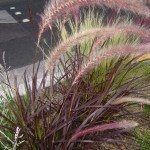 Purple Fountain Grass are hardy in zones 9 and warmer. With some additional protection you can have success in zones 7 - 8. This would explain the loss of all of your ornamental grass plants. Here is a link to refresh you the care requirements.